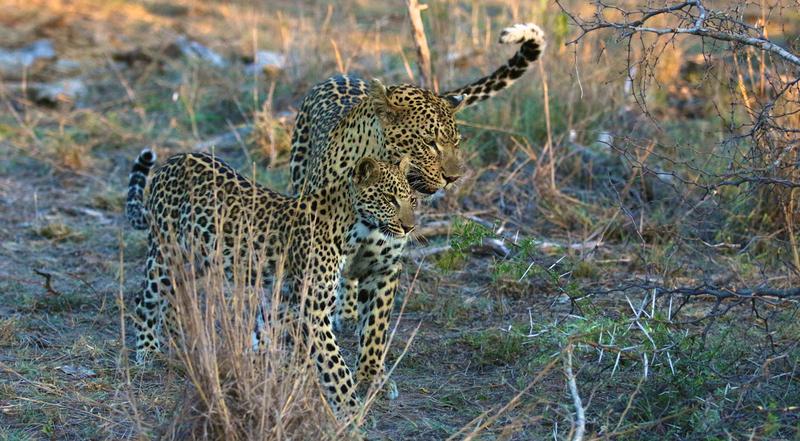 We haven’t written much about the Mashaba female or her cub recently, although a couple of photos have snuck into the regular Week in Pictures posts. 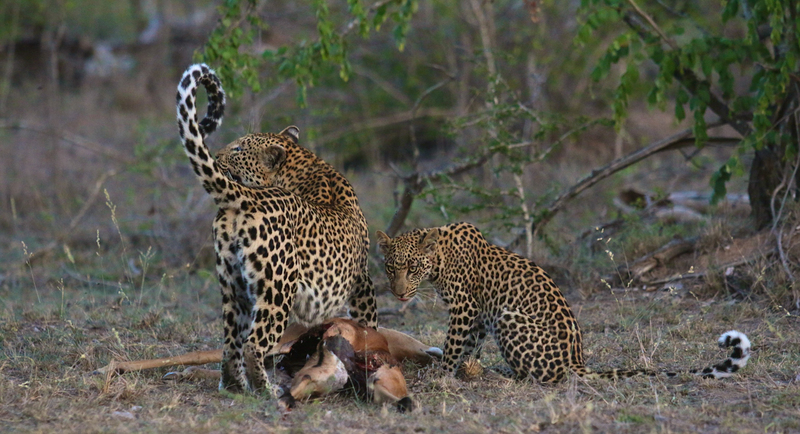 The cub, now around eight months old, is thriving, and the Mashaba female herself has been making more than frequent kills, benefitting enormously from the high density of impala herds within her territory. 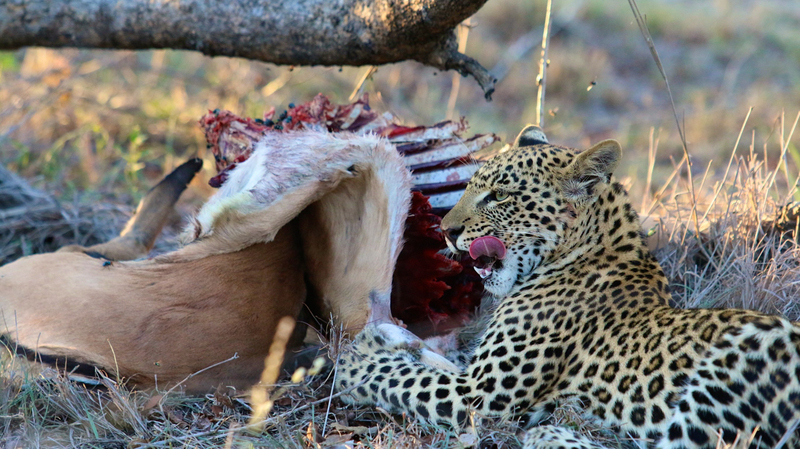 Although during the impala lambing season (which is just ending now) the majority of leopard kills are the more vulnerable lambs themselves, the Mashaba female has not limited herself to simply going after the infants, and she will regularly take down adults as well. 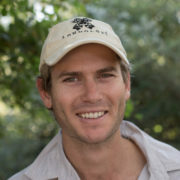 Lucien Beaumont was a Londolozi guide for many years and recently returned as a private guide for a week-long stint over New Year. His visit coincided with the Mashaba female taking her cub to an impala ewe kill, which they fed on for 36 hours before unfortunately being robbed by hyenas. The cub is still very much in its developmental stages, taking every opportunity to climb trees and chase whatever it can. 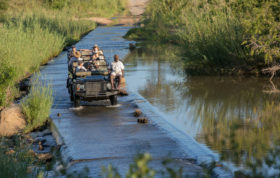 Although we are yet to witness the cub making a kill, we are confident it is making attempts on smaller bushveld inhabitants like mongooses and lizards. While still dependant on its mother, an inexperienced cub can be a nuisance, as its strength and coordination are not yet developed enough to enable it to properly manipulate a kill in a tree. 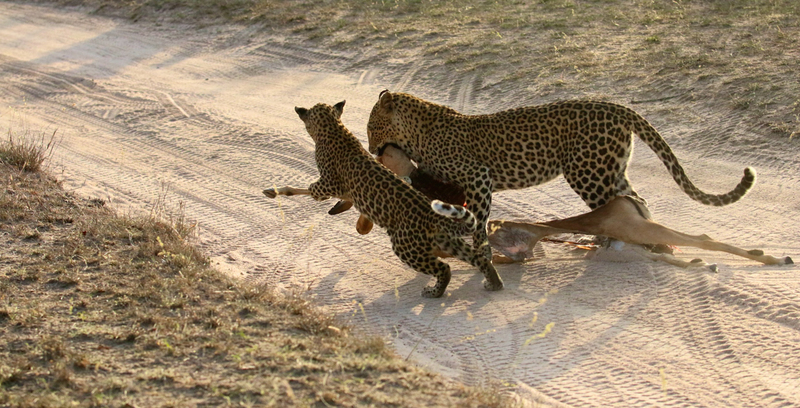 A kill being dropped is often the result when a cub is feeding on it, and if a rival predator such as a hyena is waiting below, the meal will be lost. 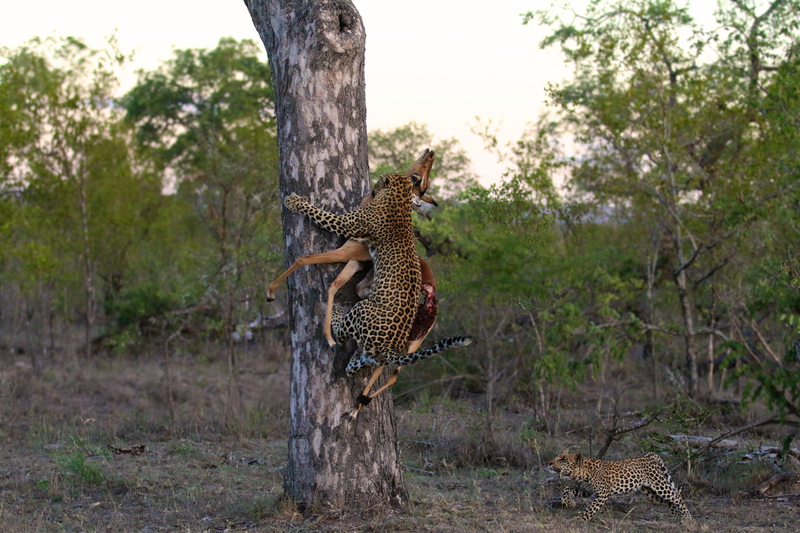 Although this wasn’t quite the case in the sighting Lucien spent time in, the cub was certainly more of a hindrance than a help, excitedly running around the Mashaba female and getting in her way as she dragged the kill to the base of a tall marula tree, and even launching itself onto the kill while the mother hoisted it. A bonding moment between mother and cub. The cub has been fully weaned for a few months now, and eats meat exclusively. 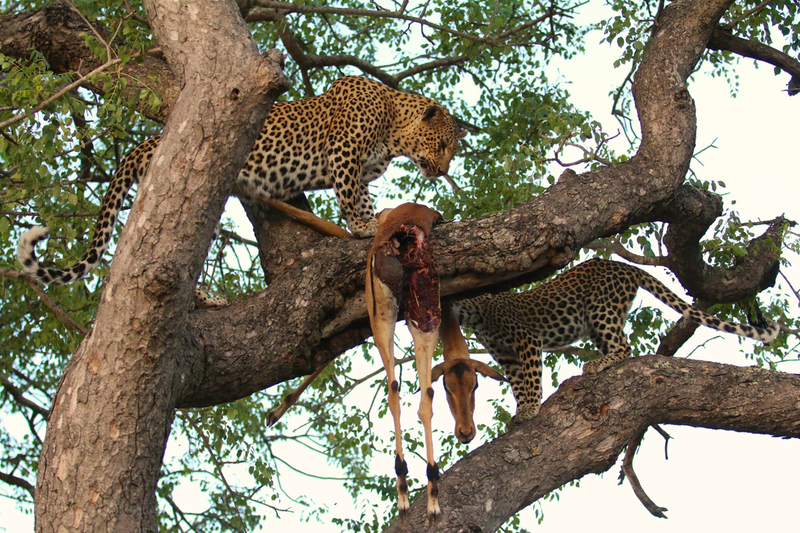 When leopards have made kills they will often drag them to a base of a tree without hoisting, preferring instead to feed first, thereby lightening the load that they have to take up into the branches. 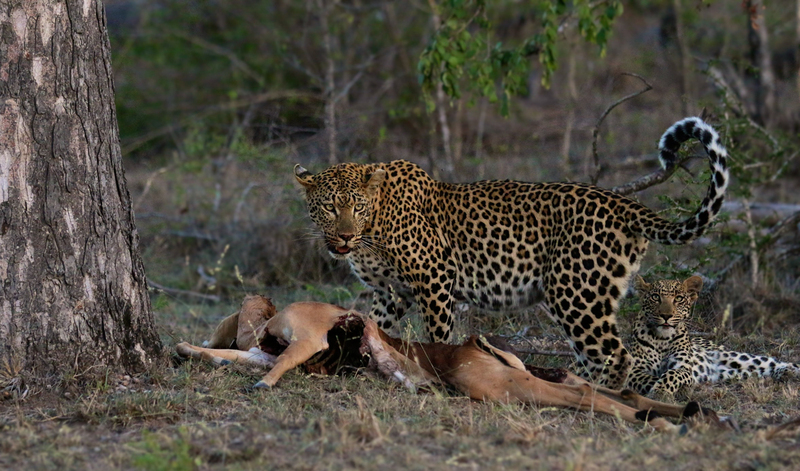 With the night time drawing near, however, the Mashaba female thought it prudent to hoist the kill without too much delay. She repositioned it slightly while determining the easiest route up the tree. A sure sign that a leopard is going to climb is that it will look up the trunk a few times first to make sure it is climbing on the right side. Its instinct to chase already well developed at this early stage in its life, the cub rushes forward to leap for the impala. Creating a nuisance of itself by adding its weight to the already heavy carcass its mother was trying to hoist, the cub locks on to a dangling impala leg. 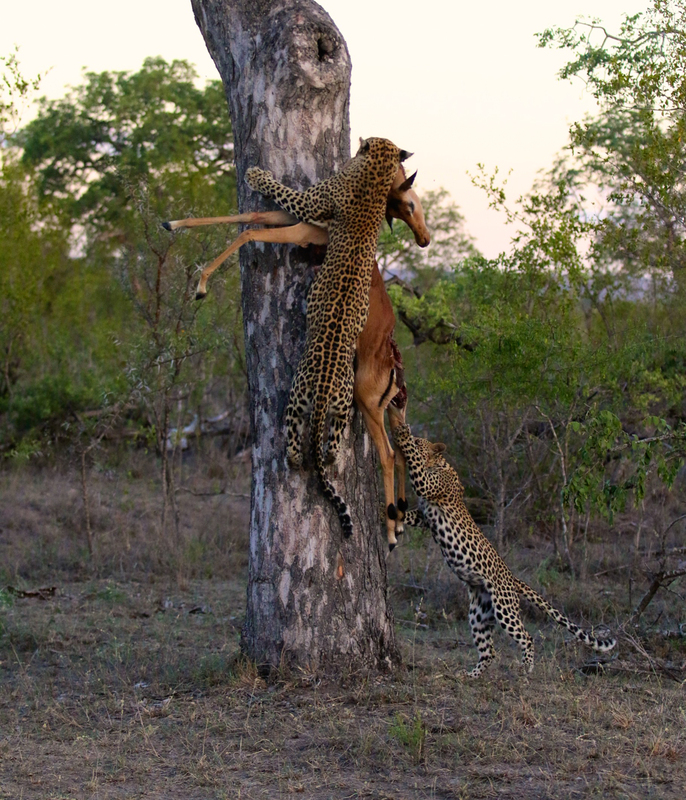 The power-to-weight ratio of leopards is almost unrivalled in the predator kingdom, and the Mashaba female barely broke stride, continuing up the marula trunk as if nothing had happened. 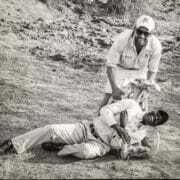 The cub became dislodged and fell back to earth. those hyenas . the cub was lucky not be eaten by those food robbers. 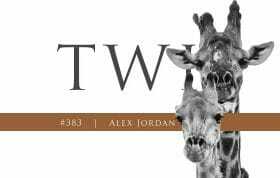 Wow, these photos are just spectacular! !Congratulation and “hello” to Lucien who was my guide three years ago. 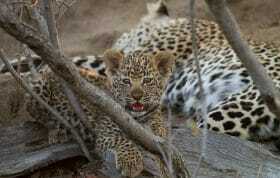 I really look forward to seeing further posts about the Mashaba Female and her cub and all the leopards. Thank you for such beautiful photos. 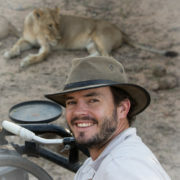 James Thankyou again for your amazing photos and updates on the leopards. An occasion that would be hard to beat. 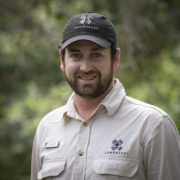 just can’t get enough of Londolozi blogs,it’s the best way to start the day.. These are great photos! 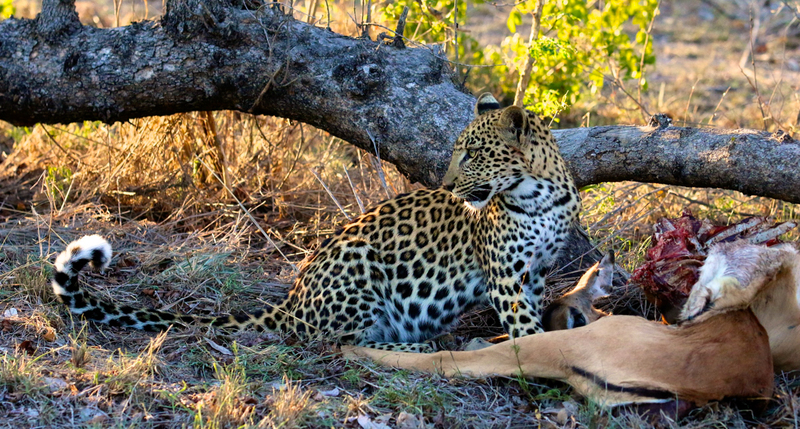 Both Mashaba and her cub look like they are doing well…nice to see. This was a lot of fun to see. Mashaba and her energetic, mischievous cub are looking good. Thanks for update.